Choosing a hard drive: Does the brand matter? 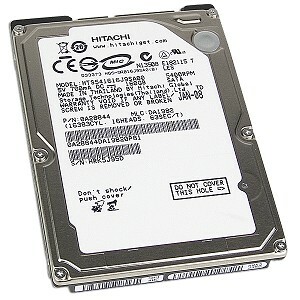 It’s not easy to get comprehensive information on hard drive reliability. Most of us in the information technology world have anecdotal tales of hard drive reliability and failures, but one or even a few data points about brand and model hard drive reliability isn’t statistically useful. It might be different if you had substantial experience with more than 25,000 hard drives. Backblaze is an online backup company that has done some very clever and practical engineering to make high capacity storage servers out of off-the-shelf components. They are very open about what they do and publish nearly everything about their storage server designs. Because they’re so open, they blog about the hardware they use in great detail, including the performance of the consumer-grade hard drives used in their storage servers, known as the Storage Pod. Backblaze: What hard drive should I buy? And here’s the background story on Backblaze’s engineering of the original storage pod. Fascinating stuff, and those of us who buy computer components for work and play are fortunate to have Backblaze so generously sharing their hardware experiences.